Over the course of two weeks back in 2009, three strangers on separate blogs and articles referred to me as “the Mother of the Spiritual Eclectic Movement” or “the Mother of Eclectic Spirituality.” I was stunned. I had never thought of myself that way before, mainly because I don’t believe I gave birth to the Spiritual Eclectic Movement even though I have certainly nurtured it and written regularly about eclectic spirituality since early 2005. Nothing about my belief system has changed very much in that time period, and I’ve continued to write and share what I’ve discovered with others, not really paying attention to the news or culture around me. Instead of allowing those things to influence me, I’ve gone deeper within to learn more about myself and Deity–and then sharing that knowledge with anyone interested. My first clue that something was afoot was not my own self-discoveries but in learning that three people whom I’d never met considered me to be the founder of a spiritual movement. That was a wake-up call. What is a spiritual eclectic? Prior to 2009, the only keyword searches on my sites for those terms had come from romantic rivals who knew I wrote a blog by that name. Both cynics and fundamentalists who do not understand what Eclectic Spirituality is all about tend to snub it as the equivalent of “spiritual but not religious.” Eclectic Spirituality is anything but “spiritual but not religious.” It’s far more specific and advanced, but not necessarily standard or uniform, or even consistent with another’s spiritually eclectic practice. “Spiritual but not religious” has become a popular way of saying, “I don’t identify with any particular church or religion but I’m a good person.” I have exes who are atheists and agnositics but put them on an online dating site and they are suddenly “spiritual but not religious,” or occasionally–because they all attended a couple of weddings and funerals in one particular church building–they call themselves Methodists. Those exes of mine scoff at any reference to God, unless it looks good on their resumes. They do not pray, meditate, or make any attempt to connect with a Higher Power or Universal Law of One. They are “spiritual but not religious,” yes, but spiritual in the way that we are all spiritual beings having an physical experience and not spiritual in the sense of seeking Oneness with Deity. Critics–and why, please tell me, are there critics at all? Or judges of anyone’s personal faith? That, I do not understand.–downplay Eclectic Spirituality as a popular buzzword, something that’s phony, something we heathens say…because we haven’t found The. One. True. Way. To. God. Yet. Then again, for people who think that their particular brand of spirituality is the only way to God, it’s hard for them to make any assessment of anyone else’s belief system without sounding arrogant, uninformed, or merely insulting. Eclectic Spirituality is another way of saying, “One size does not fit all.” In my belief, each person has a spiritual path as individual as that person is. Not all elements of Christianity will resonate with a Christian. Some elements will feel patently wrong, and if they have to accept all the elements–at least as they are taught by specific churches, ministers, or denominations–then barriers begin to form and these people distance themselves from their churches, their God, and their own deeply entrenched belief systems. The same is true of other religions. Not all elements of Wicca, for example, are consistently interpretted or practiced by different trads or circles. There are those who shun paganism entirely because of various elements they see as too different for their childhood foundations or earlier spiritual practices. Eclectic Spirituality does not dumb down an existing religion but rather, it takes the foundation of a religion or set of beliefs and goes a level higher, bulding on that foundation, adding new things that work for that particular person’s path, new things that strengthens the bond between that person and Deity. 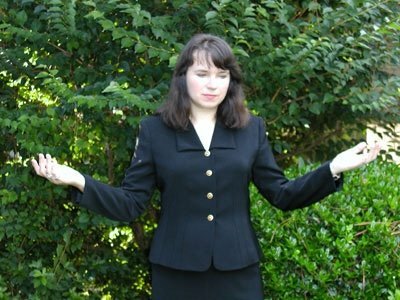 I was a devout Christian who became a devout Wiccan and then on top of all my previous spiritual beliefs, I laid a template of the Law of Attraction that adds a far richer texture to my spirituality and my connection with Deity than anything I found in Christianity or Wicca alone. Over the last decade, I have witnessed many of my Christian friends become increasingly eclectic in their beliefs. Many of them now practice candle magick and crystal healing, though most protest my calling it that, even though, having been both Christian and later Wiccan, these elements of their practices are nearly identical. Eclectic Spirituality is a way of going deeper into any spiritual practice, pulling into it–as I like to tell my own students–whatever works. I am emphatic on the idea of experimentation and figuring things out for yourself. I am not opposed to structure, but this is part of my personality. I like to know where the boundaries are, and I can choose to leap over them if I want, or break them down, or stay within them. Again, whatever works for me. Whatever helps me to make that connection with Deity that I crave and that I love, and that results in marvelous things happening for me. We live in a wonderful age where we are connected by technology and can share quickly and widely with almost anyone. We have opportunities to learn and enhance our spirituality in ways that have never been available before. For centuries, most religions have been very structured in their nature and–because there were not many other options available to us–we grew up in a particular structure, we pursued that structure into adulthood, we taught our students and our children that structure, and we were buried in that structure. We found our Gods within that structure, and we learned all we could within that structure. These are exciting times–we now have opportunities to learn outside of that structure, to go beyond it everything we’ve seen before, to building something new, to learn something new about God and about ourselves. What we learn may not necessarily be perfect for the person next to us or our child or parent or lover, but something that is perfect for us as individuals, for our personal spiritual paths. Something that we can use to go deeper into our spirituality, whether it is Christianity, Wicca, Buddhism, you name it. We have the opportunity to learn, to do more, to be more. For those of us who are Spiritual Eclectics, we are not just seekers but we are pioneers into an undiscovered country. I am SO glad to have found your blog! Right when I needed it of course, once again making me believe in the power of synchronicity. I can’t wait to read more! 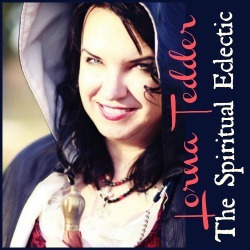 I have recently started calling myself an eclectic spiritualist. This is a journey I am now headed down and have even created a group on Facebook for others like me. I hope that I have the right information down. This is a journey and I’m glad I found this page. Thank you. I’m glad I found this. Eclecticism explains me perfectly! It’s difficult explaining this to people – especially the devout Christians I was raised by – and even myself at times. Thanks for putting these words together and sharing them. I appreciate you! really don’t understand me babbers please explain it to me, i love you cass.